Mobile Office. With its unpretentious case, matte screen, generous input devices, large battery and integrated UMTS module, the ASUS P31F is sure to get some interested glances. Priced at 799 €, is the Asus the insider's tip for price-performance in this segment? 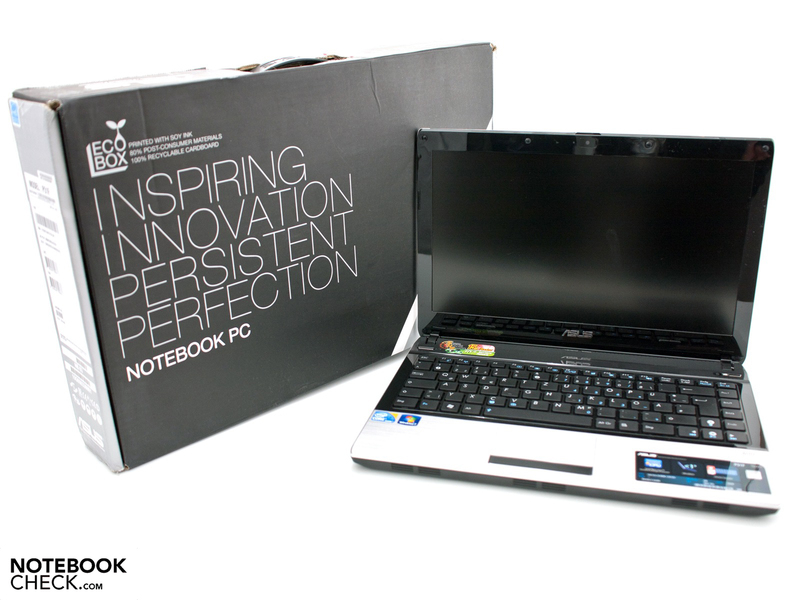 We have here the latest addition to Asus' business line-up in review with the P31F-RO108X. The Asus U36JC clearly represents the consumer counterpart from which the P31F took a few cues and even improved upon somewhat. 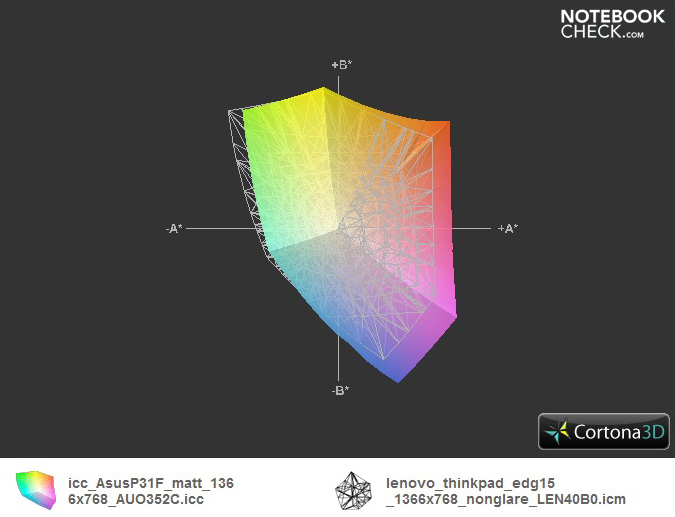 The 13.3" display has a resolutions 1366 x 768 pixels, but also offers a matte surface. The chassis has been modified a bit and isn't quite as slim and light. But its still capable of showing its face with a weight of 1.9 kilograms. 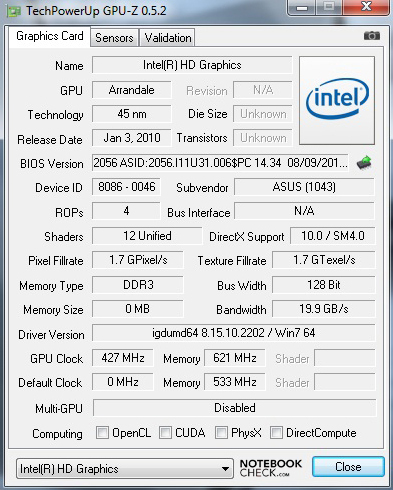 Puttering around inside is a somewhat older Intel Core i3-380M with a base clocking speed of 2.533 GHz and an integrated GMA HD graphics unit from the first generation. Components from the current Huron River Plattform are not yet on offer. Already installed is the Super Hybrid Engine from Asus, which depending on its area of application should enable it to improve performance by around 15 percent or give it a longer battery life. 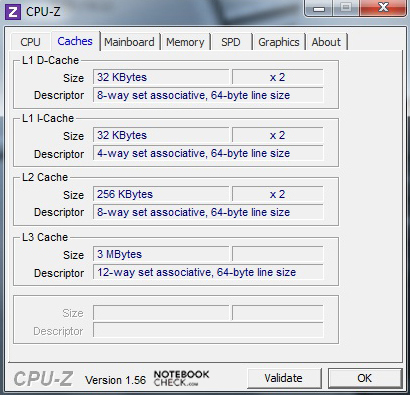 In addition to the usual standard-components, the subnotebook offers an integrated UMTS-module from Huawei. Those now thinking that such a combination will surpass the 1000 Euro price threshold would be wrong. Asus offers the P31F-RO108X at a non-binding recommended retail price of 799 Euros. But a current price comparison shows that the device can even be had for 689 Euros including delivery, which may make the notebook the true business-price cutter. The very straight-lined and angular design as well as the uniform design height of 2.8 cm make the device seem rather unremarkable. The colour-combination of silver and black parts underlines its business-orientation and yet still seems elegant and modern. 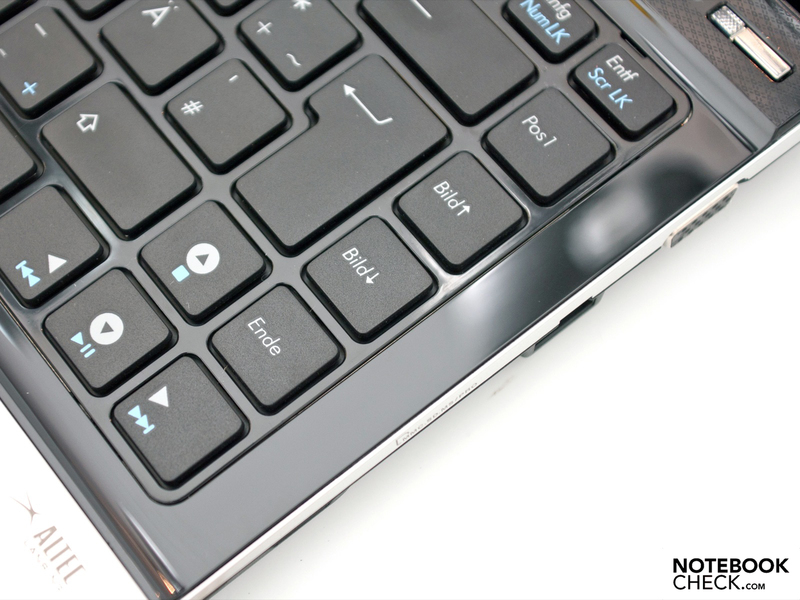 A disadvantage to the black surfaces around the keyboard and the display is the high-gloss paint used. This clearly attracts fingerprints, scratches and dust, In addition to the plastic case, the aluminium display lid improves its visual impression. 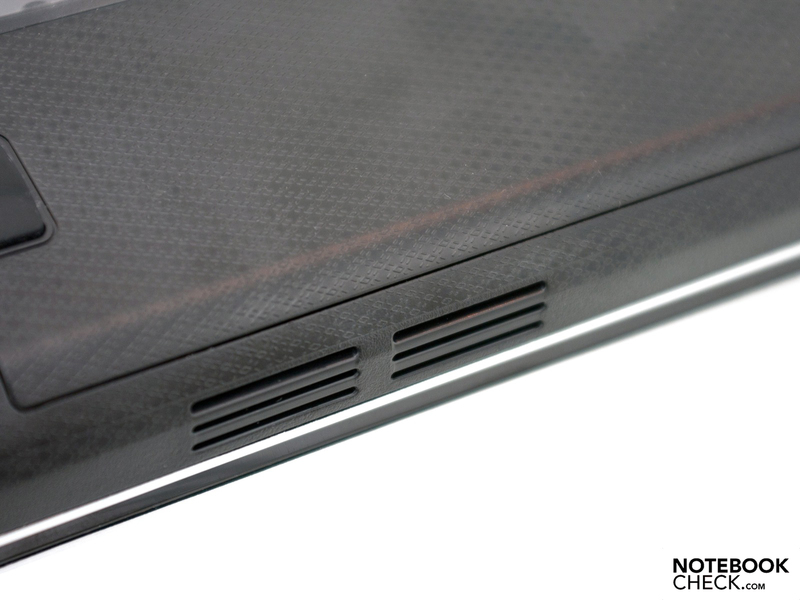 But these surfaces also aren't really all that robust and the first scratches aren't long in the making. Particularly on such a business device, a fully matte and robust case would have been desirable. Aside from a few spots, the case's stability leaves a good impression. The keyboard and the palm rest resist even strong pressure. By comparison, the area above the keyboard seems much less stable. 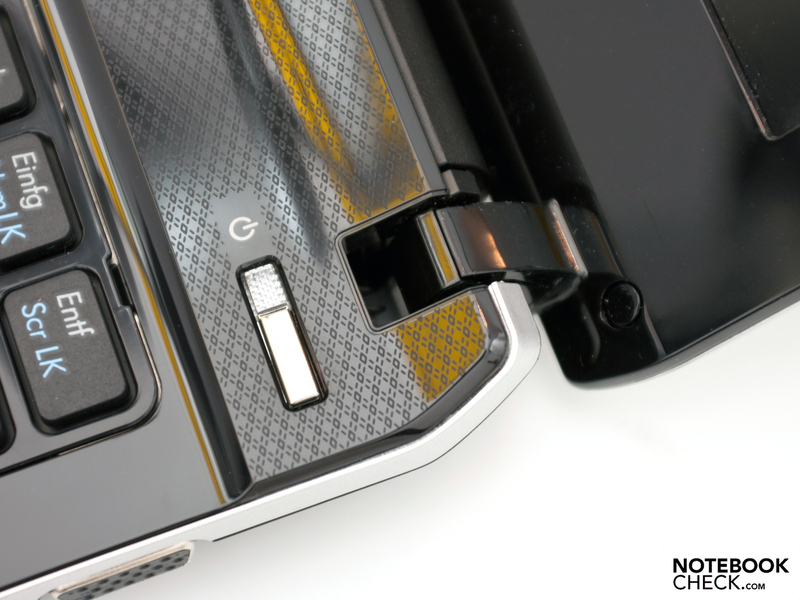 Thanks to the large aluminium plate, the display lid hardly gives at all to twisting forces. Distortions of waving of the picture don't arise, even when a great deal of force is applied. This construction is held up by two small display hinges which hold it securely in the desired position. A light wobble remains a point of critique. Measuring at 328 x 232 x 28 mm (w x l x h), the P13F is not quite as slim as the U36JC with its 4-cell battery and a design height of 19 mm throughout. 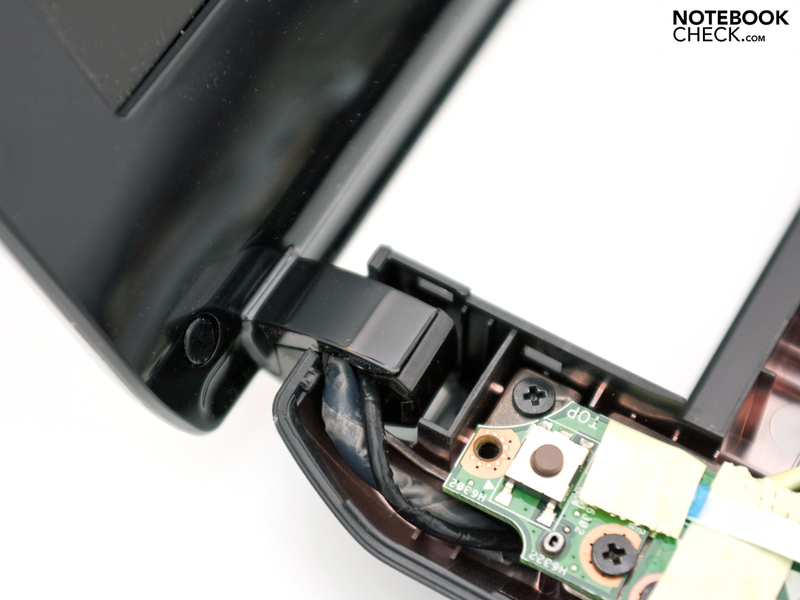 But with the larger battery, the U-series device is thicker (30 mm) and is therefore nonetheless at a disadvantage. 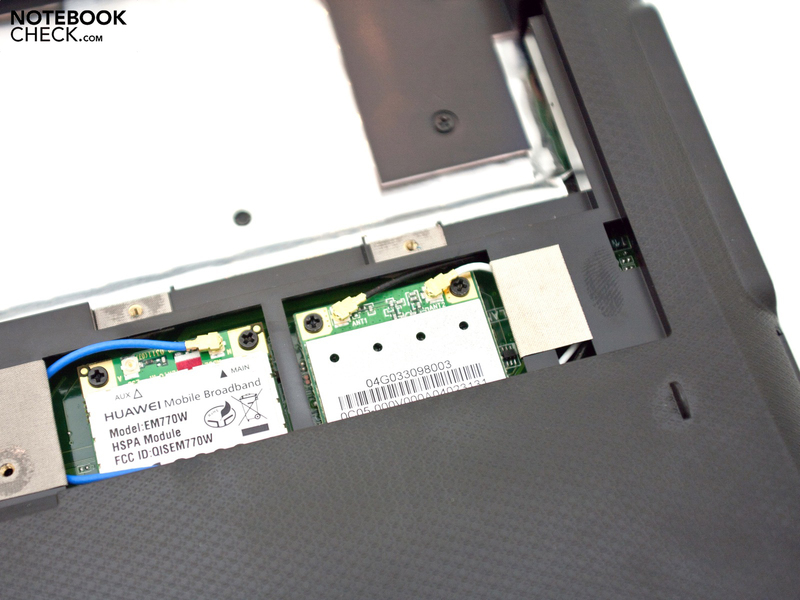 Despite the 8-cell battery, the P31F-RO108X thankfully isn't propped up from the boot. Together with its battery, the subnotebook weighs in at 1.9 kilograms and is thus still within limits for such a configuration. 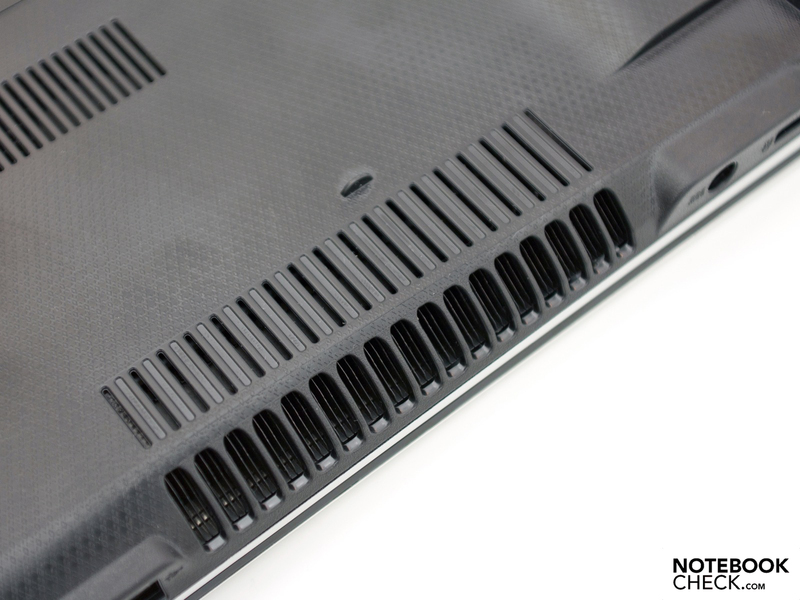 The memory and harddrive can be quickly swapped out via a large service flap on the underside of the case. 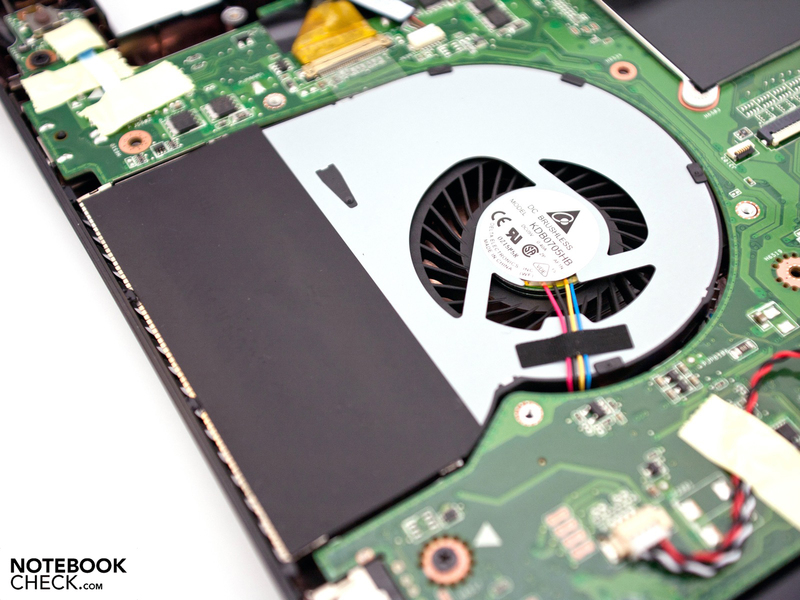 The limits are 8 GByte of RAM and harddrives, hybrid-drivers or solid state drives with design heights of 9.5 mm. Further deconstruction of the chassis is possible, though opening the upper half of the case will void the warranty. A small sticker clearly puts this point across. One finds the usual range of connections on the side of the case. In addition to three USB 2.0 ports, VGA, RJ-45 network connection, the audio interfaces and a Kensington lock, the P31F also offers a modern HDMI-port (Revision 1.3) and a 5-in-1 card reader. An optical drive hasn't been integrated due to a lack of space and the thin case. 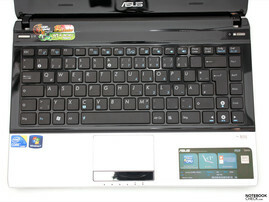 Asus did well with arrangement of the interface and concentrated on the side's edge. There are therefore no ports on the front- or back sides. There's no faulting it in terms of its range of connections, though it does do without a USB 3.0 port and an ExpressCard slot. In this section we aren't left with any unanswered wishes. In addition to Gigabit ethernet via a Realtek controller as well as WLAN to 802.11n (Atheros AR9385), the subnotebook also offers Bluetooth 3.0 + HS. This standard is also employed in just about all smartphone entreés. A business-device can't be without a UMTS-module. In this case it is a EM770W model from Huawei. This supports HSDPA and HSUPA with a maximum of 7.2 Mbps or 5.76 Mbps (3G UMTS) respectively. 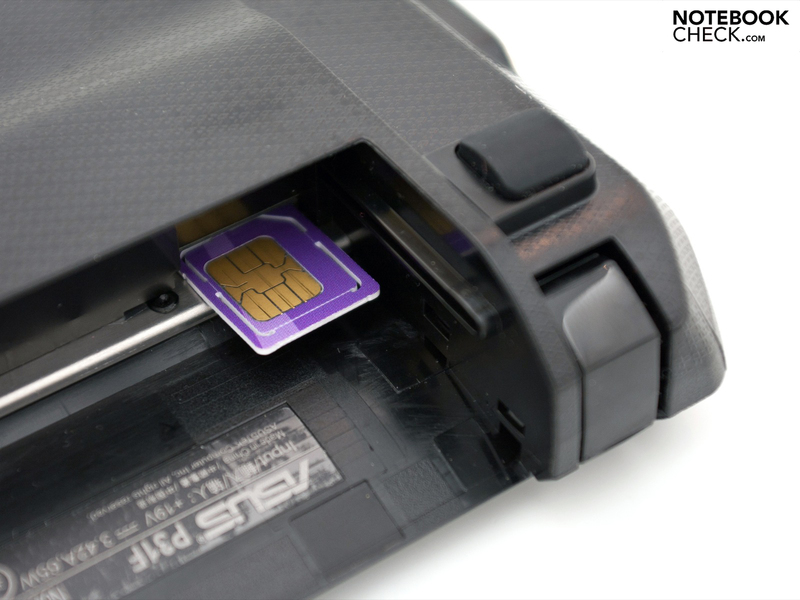 The pre-installed 3G connection manager offers a comfortable solution for creating connections. 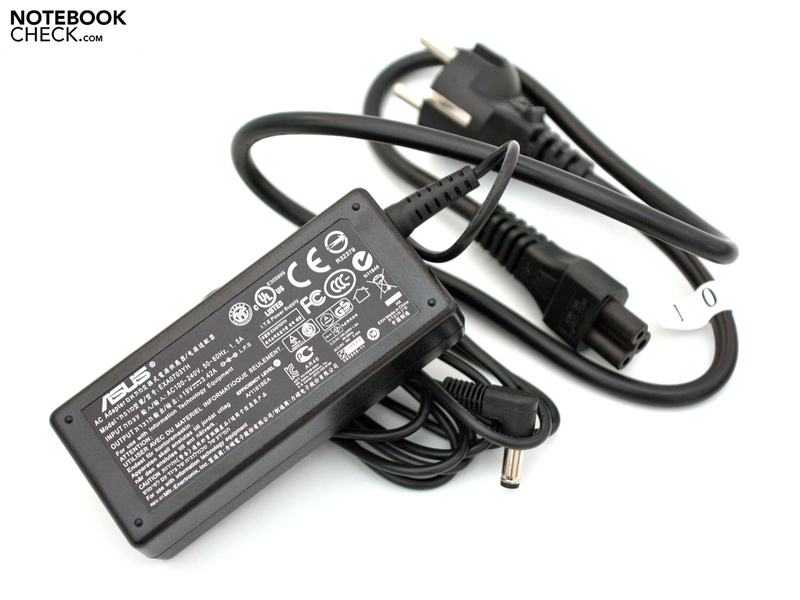 Nothing has changed in terms of the packaging and the deliver contents when compared to the Asus U36JC. In addition to numerous handbooks, a software- and driver DVD, the carton also contains the device itself and the associated 65 watt power pack with power cable and the 8-cell battery. As an extra, Asus offers a cable binder with Velcro fastener as well as a microfibre cleaning cloths. 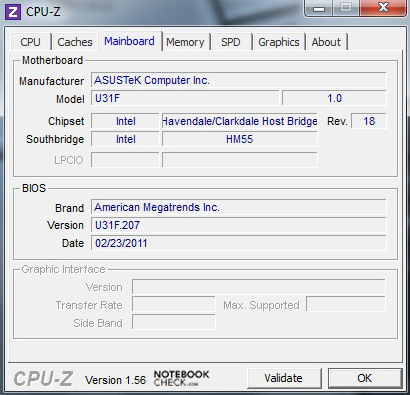 Asus is much more "generous" in terms of the software and pre-installed numerous programs. 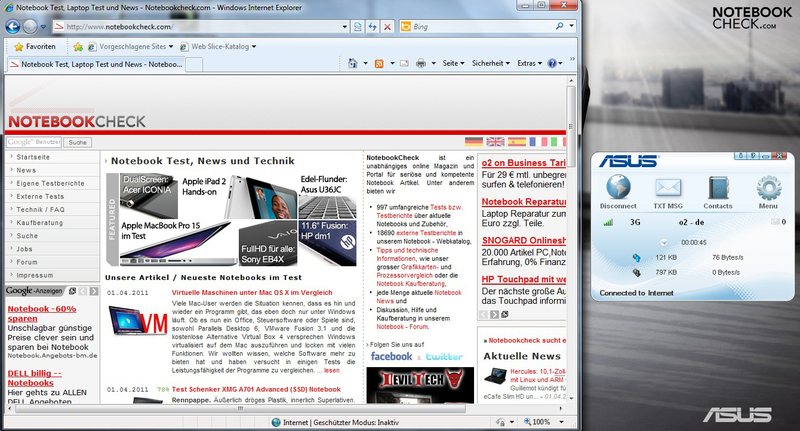 In addition to the Microsoft Windows 7 Professional (64-bit) operating system, there is also Office 2010 Starter, the usual test version of an anti-virus program, software from Asus as well as a great deal of freeware. This abundance could in a way be described as bloatware which one should delete if not otherwise needed. Asus offers a 24 month in-house guarantee for the device which can be extended at a premium if desired. There are then two different packages to choose from. One is a 24 month notebook security which covers most user-accidents (breakages, impact damages, accidents with liquids etc. ), and the other is an extension of the guarantee period from 24 to 36 months. These service offerings from Asus each cost 79 Euros (RRP). We will forego any lengthy reports concerning the keyboard and touchpad (Synaptics V7.4) as the combination in use here is also found on the Asus U36JC. 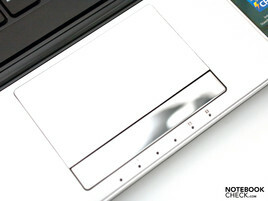 The only thing that is new is the textured surfaces of the touchpad which lend it the aluminum look, and these do not noticeably change the use of the device. We did notice the Synaptic pre-settings which deactivate the internal pointer device as soon as an external one is connected. But this setting can be changed within just 30 seconds. A business notebook simply must have a matte display; the ergonomics of a glare type would not go over well with customers. 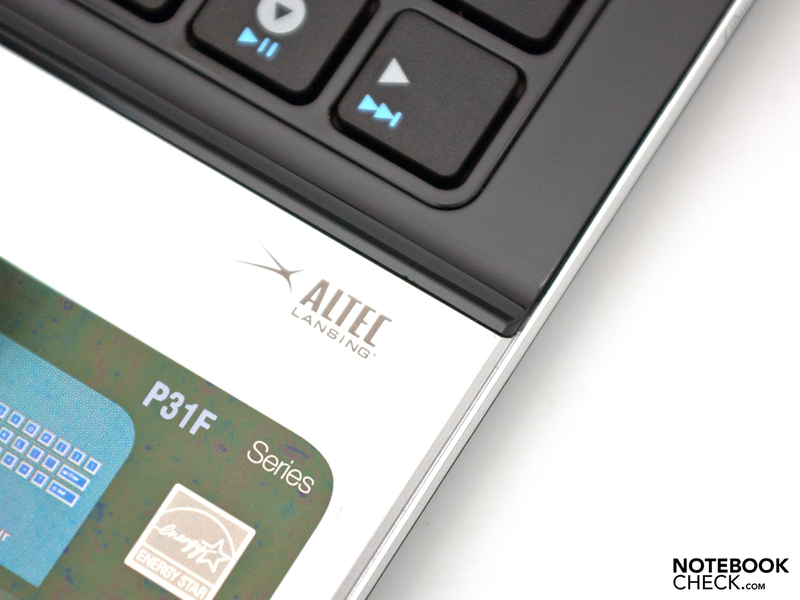 The screen of the P31F offers a diagonal of 33.8 cm (13.3") as well as the much-needed matte display. The native resolution of 1366 x 768 pixels falls within a wide average range, whereby high-end business notebooks can offer even finer resolutions (Sony Z13). External devices with a higher resolution can be hooked up via the integrated VGA- and HDMI interfaces. With a resolution of 1920 x 1089 pixels (full HD, 1080p), the picture quality of both ports is enough to impress when used for external monitors. With the Mavo monitor from Gossen, we took a look here at the panel from the AU Optronics Corporation with the type designation AUO352C. LEDs, which unfortunately only fall somewhere in the mid-field, provide illumination and give the display lid a slim construction. 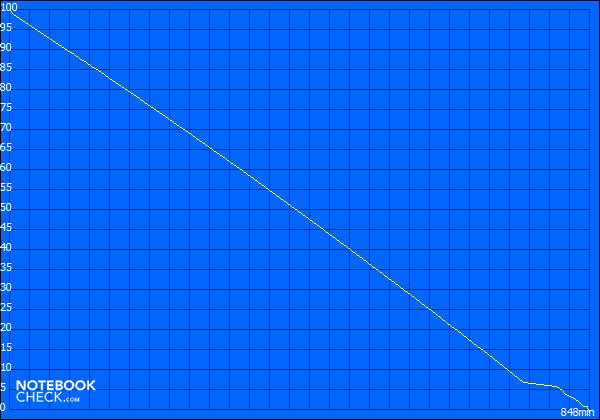 The best value we measured was 193 cd/m². The new Samsung 900X3A of series 9 is the current class-leader among devices with a 13.3" display. The integrated panel offers over 400 cd/m² on average and is extremely bright. But the Asus P31's AUO panel does score points for its even illumination, which is at around a very strong 96%. The black level and the resulting contrast also fall in midfield and are in line with a standard display. 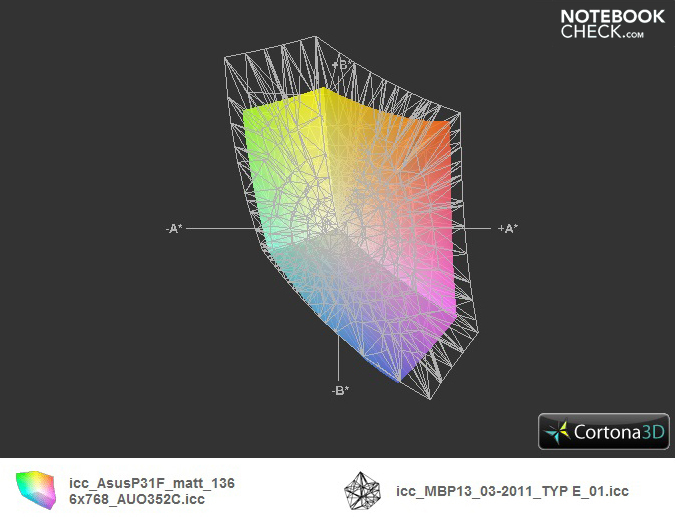 The rendering of pure black appears slightly grayish with a value of 1,14 cd/m² , and the modest contrast of max. 169:1 is really apparent when used outdoors; more on that below. The portrayable colour space is not enough to cover the sRGB reference colour space, which means the panel is limited in terms of its suitability for professional picture- and video editing. 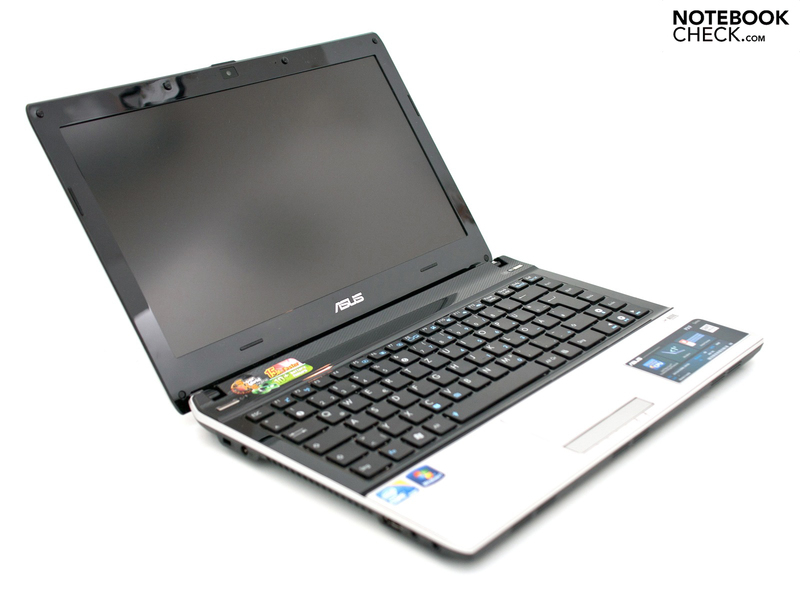 The design of the matte display predisposes the Asus P31F for outdoor use. And this is certainly possible, although the average brightness and the limited contrast represent limitations when faced with direct light or sunshine. One can however certainly work in a shady spot. The shiny black display frame is a further hindrance. Depending on the source of light, this creates strong reflections which can be bothersome. Conservative business devices without such a style factor (high-gloss paint) are clearly at an advantage in this respect. 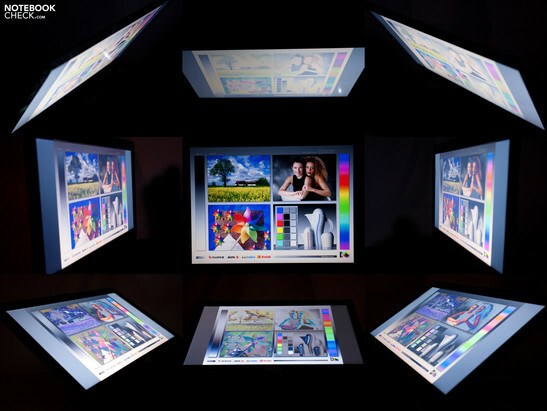 The picture display along the horizontal axis remains stable to around 150 degrees, there are no colour distortions and it's no problem for multiple people to view presentations, photos or films. Vertically, things don't look so rosy. Even just minimal changes to the viewing angle cause the reference image to invert or fade out. 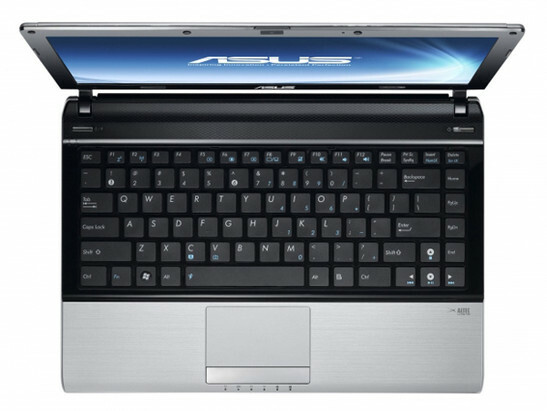 The Asus P31F is currently only available in the RO108X model variant which is equipped with a somewhat older Intel Core i3-380M processor (Arrandale, HM55 chip set). 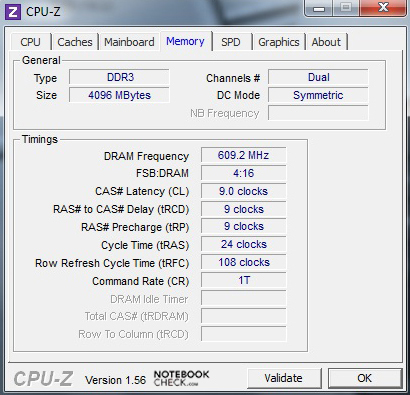 This computing unit works with a clock frequency of 2.533 GHz in two cores as well as 3MByte L3-cache. Thanks to Hyper Threading technology, two additional, virtual computing cores are available. Together with the Intel GMA HD graphics, the primary office duties are underscored, whereby some performance reserves for simple multimedia tasks are still left over. 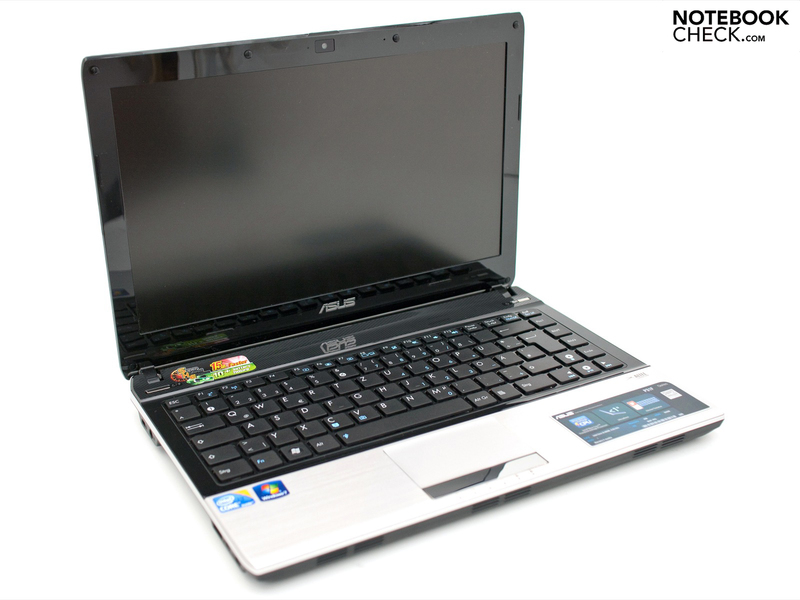 With its Intel Core i5-480M (Dual-core, clock frequency: 2,666 GHz), the Asus U36JC consumer counterpart is geared a bit more toward use as a multimedia notebook. 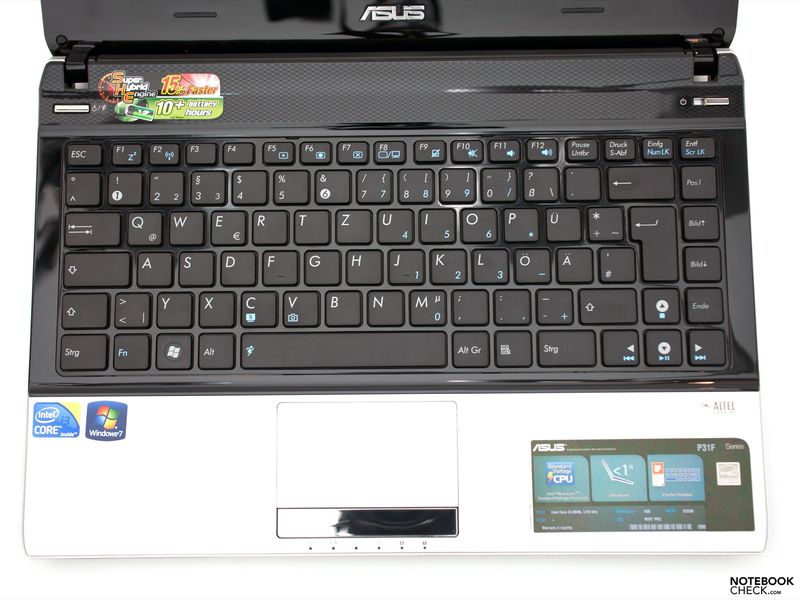 A current Asus notebook can't be without its own Super Hybrid Engine (software) including Power4Gear energy controls. Depending on the task profile, the processor is overclocked to a maximum of 2.833 GHz (High Performance) or underclocked to 898 MHz in order to ensure the longest possible battery life (Battery Saving). But the lengthy time it takes when switching between individual performance modes is annoying. Additional hardware equipment features include a 2.5" harddrive with 500 GBytes of gross capacity as well as 4 GBytes of DDR3-10600S of memory. Instead of the typical clocking speed of 1066 MHz, the RAM is endowed with just 667 MHz, which is intended to reduce its current consumption. As mentioned above, switching out these components can be done quickly as needed. Our comprehensive course of benchmark tests confirmed its base-level performance, without great multimedia- or gaming ambitions. The pure CPU performance of the Intel Core i3-380M in the CineBench R10 Mutli-Thread-Rendering (64-bit) fell somewhere in the lower midfield in our database with 8465 points. But the jump in performance from 300 MHz through the Super Hybrid Engine is a benefit for the P31F-RO109X. 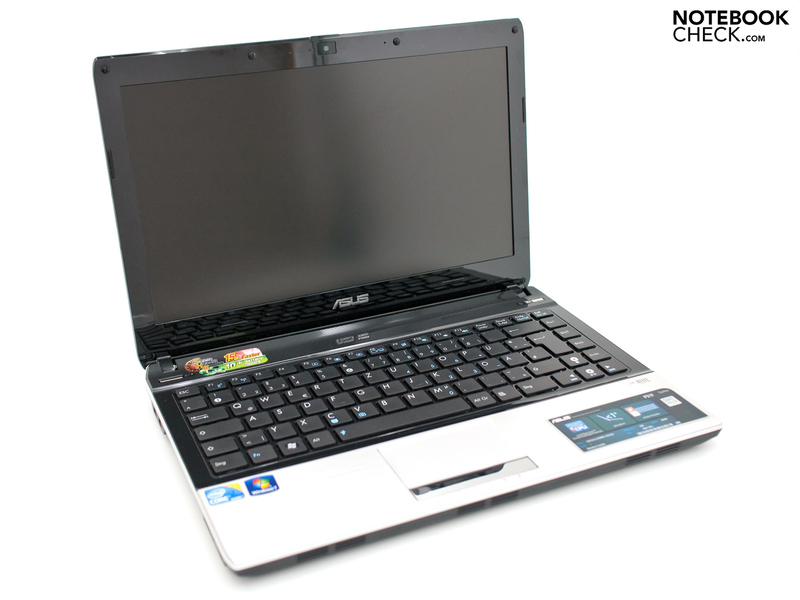 With this, the subnotebook catapults to the level of an Intel Core i5-460M and therefore comes to the level of an Asus U36JC, which however offers dedicated graphics as well. Apart from the impressive office-performance, the integrated Intel GMA HD graphics of the P31F is not suited for gaming. 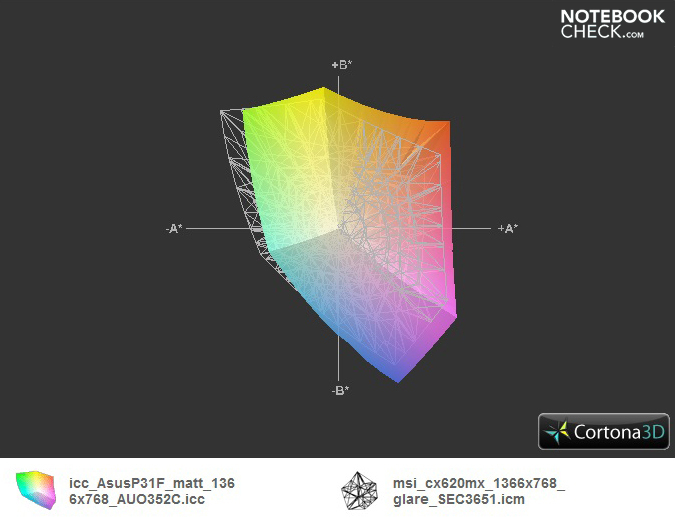 Its score of 1399 points in the 3DMark 06 confirms this assumption, whereby it should be made clear that this does not represent its intended area of use. The Western Digital Scorpio Blue (model: WD3200BEVT-80A0R) used by Asus is a popular harddrive for entry-level devices. 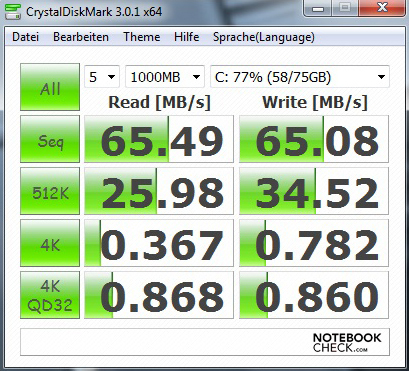 With a memory capacity of 320 GBytes, this harddrive spins at 5400 rpm. Depending on the benchmark, the maximum read rate varied between 65 and 68 MByte per second. Together with an access time of 18.8 miliseconds, this results in average performance. 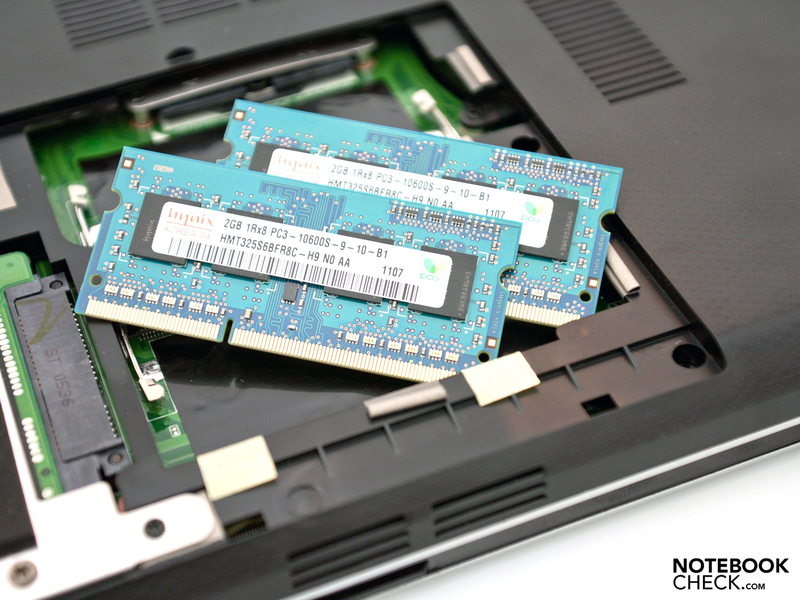 Switching it out for a faster memory medium (SSD) takes only a few minutes, even for a layman. There has been a fair amount of discussion already in our forum about the system operating noise and the supposedly constantly-spinning fan. This is located to the left underneath the keyboard and remained inactive on our tester when at idle. This results in measured noise levels between 31.1 and 32.4 dB(A) depending on the running noise of the harddrive in use. Under load, the fan ramps up to cool the components. 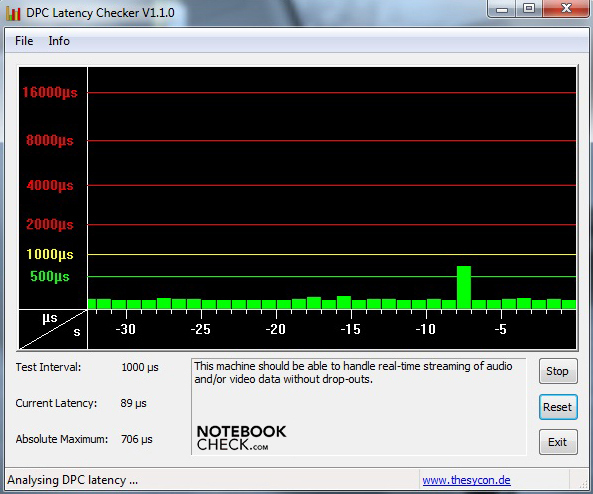 With levels between 34.4 and 43.5 dB(A), the subnotebook now makes itself known. 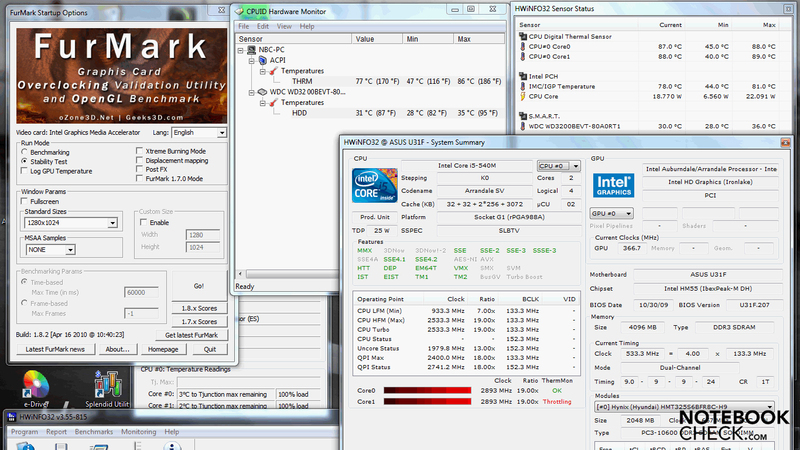 Positive, however, is the way the fan throttles back relatively quickly after successful cooling. At idle, the measured values on the surfaces were under 25 degrees Celsius throughout and the case remained cool. With increased demands, not only does the level of noise increase, but so too do the case temperatures. With a maximum of 38.8 degrees Celsius on the underside, the device warms up noticeably. The slightly protruding keys remain cool, even under load. 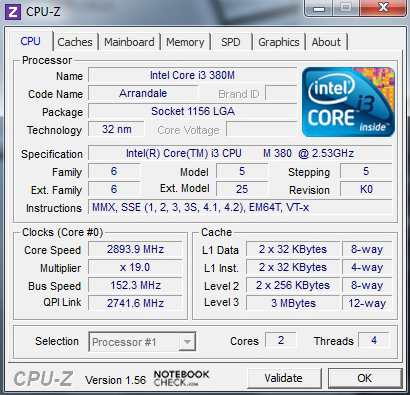 The heart of the subnotebook, the Intel Core i3-380M processor reached a maximum of 89 degree Celsius in the stresstest. But the temperatures remain much lower during normal operation. (+) The maximum temperature on the upper side is 35.6 °C / 96 F, compared to the average of 35.8 °C / 96 F, ranging from 22 to 57 °C for the class Subnotebook. (+) In idle usage, the average temperature for the upper side is 22.2 °C / 72 F, compared to the device average of 30.7 °C / 87 F.
On the front of the case are two stereo speakers from Altec Lansing, each with a performance of 2 watts. But their sound will not impress multimedia fans. The sound picture overall seems slightly tinny, as the high tones are too prominent. Basses and deep tones are almost completely absent from the spectrum, preventing it from giving a spacial feel. External sound solutions can be operated via the available 3.5mm stereo jack or through the HDMI port. The subjective impression is impressive and no rustling or cracking was perceptible when testing out the 3.5mm jack with a headset. 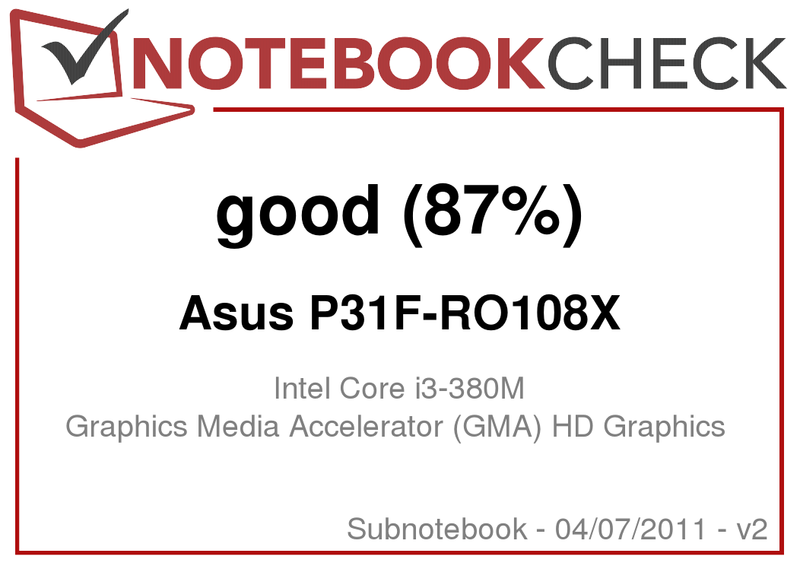 Aside from the display, the Intel Core i3-380M CPU is the main energy user in the Asus P31F, which is specified with a power loss (TDP) of 35 watts. In addition to the performance, the Super Hybrid Engine also affects the current consumption, which results in a wide battery lifespan. 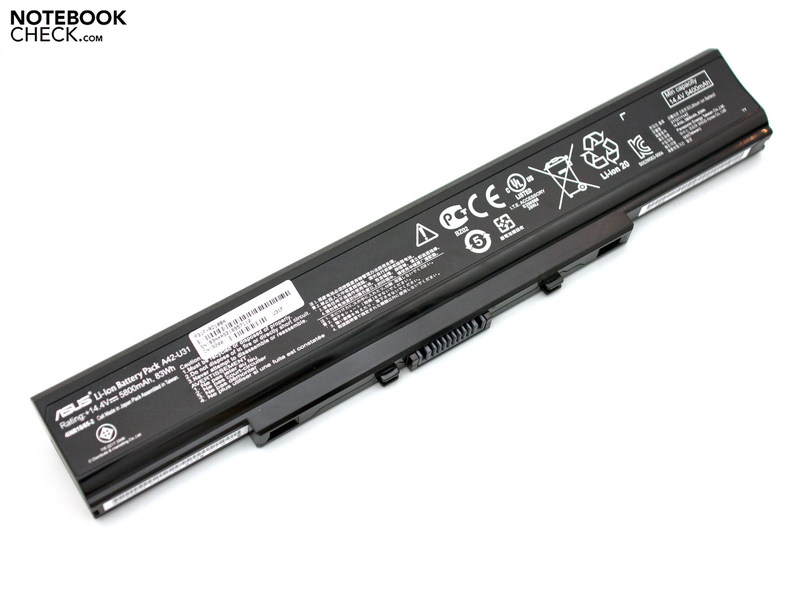 At idle, between 7.0 and 15.1 watts are needed, meaning that the subnotebook doesn't need to shy away from smaller netbooks. 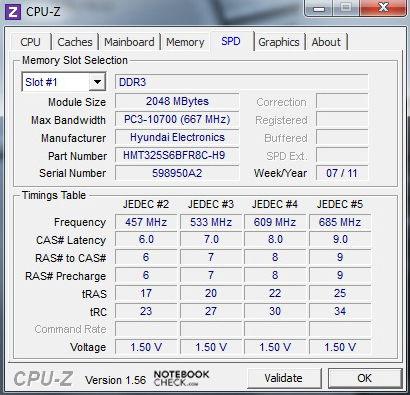 Under load with overclocking, the current consumption rises quickly to come to a maximum of 65.7 watts and the limits of the included power pack (60w). A look at the HWinfo-screenshot from the stress test shows the note about throttling, although the clock rates remain constantly on a high level. The results of the benchmark tests also show no corresponding abnormalities. The energy consumption values when turned off and in standby mode are within normal limits at 0.2 and 0.6 watts. 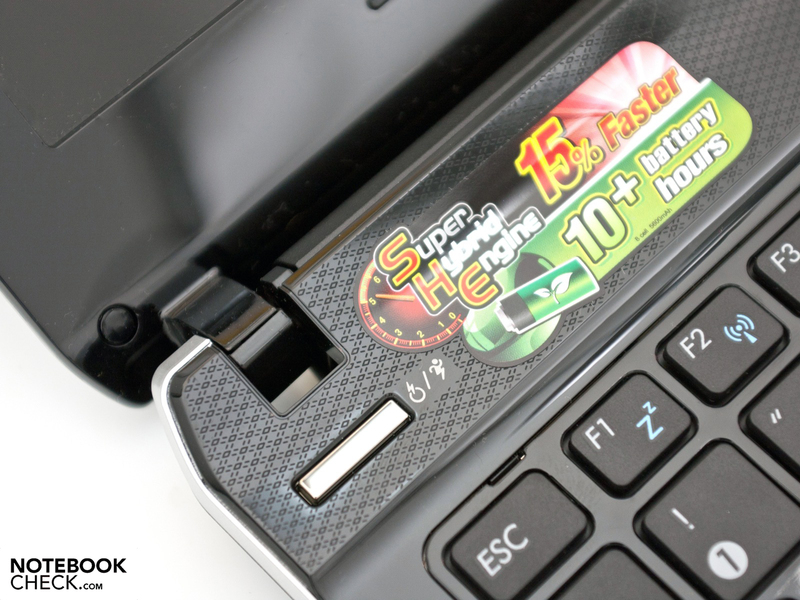 A sticker shows Asus' claim of 10+ hours of battery life from the included 8-cell battery. The lithium-ion battery offers a capacity of 83 watt hours or 5800 mAh and stretches across the whole length of the case out back. The first battery life measurement from the Battery Eater tool is called the Classic Test and simulates the minimum battery life under load. This involves runing an Open GL-computation with maximum display brightness, WLAN-adapter activated and energy savings functions turned off. The processor is also overclocked through the High Performance profile, which results in the need to recharge the battery completely after only 2 hours and 9 minutes. In contrast to that, there is the Reader's Test with the energy saving settings. In addition to a low display brightness, the performance of the CPU is also reigned in to around 900 MHz (performance profile: Battery Saving). The device ran a full 14 hours and 8 minutes before needing another power source. With that, the Asus P31F-RO108X even surpasses most netbooks whilst still offering better performance. 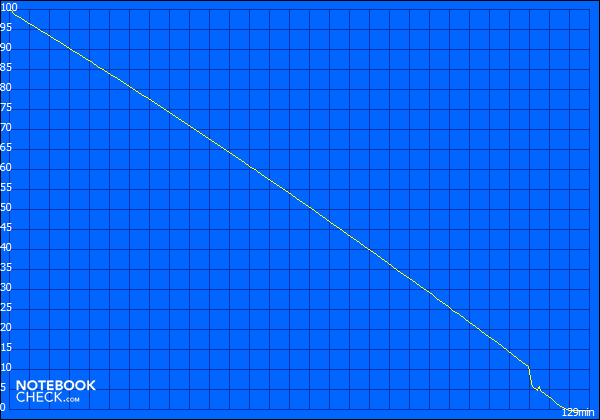 The true middle-ground test is our measurement of "surfing via WLAN", which comes closest to representing daily use. With an acceptable level of brightness in the upper third and a balanced performance profile, we had an impressive 8 hours and 53 minutes for working at the desk or underway. Depending on its use and the demands of the hardware, the measured runtimes varied between a good 7 and 10 hours. With a second, optional battery in the package, even longer trips are no problem for the business subnotebook. The Asus P31F-RO108X left us with a good impression, whereby in the end it can't really be described as a pure business device. 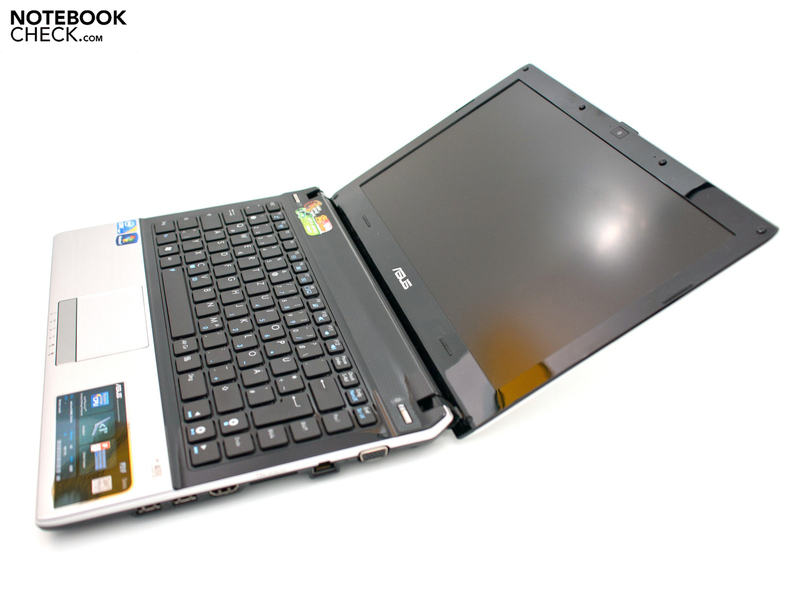 The case with its parts finished in high-gloss paint, its relative lack of pressure resistance as well the absence of various security features and a docking port make it more of an office-subnotebook with useful functions. Examples of these include the integrated UMTS-module for mobile internet access, the generous input devices and the matte display with a resolution of 1366 x 768 pixels. 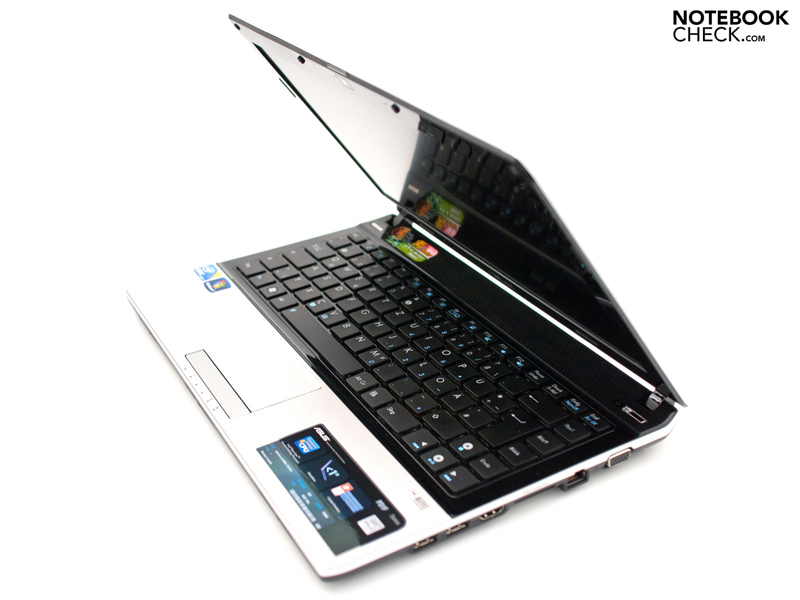 The integrated Intel Core i3-380M gives it performance typical of the entry-level segment. Simple multimedia applications, such as for instance showing HD-video material via the HDMI port, can be carried out with no problems. The Super Hybrid Engine also ensures for a jump in performance, but it also increases the current consumption, something which takes a toll when used under battery power. But the battery runtimes of 7 to 10 hours suffice to make a good showing in daily use. Furthermore, apart from the feeble speakers, there is hardly any room for critique in terms of its emissions. All in all it is a chic subnotebook with business ambitions which sets itself apart from the consumer segment with various functions and features, but can't really keep up with dedicated business notebooks. The suggested retail price of 799 Euros is already being underbid by various dealers who are already offering the Asus P31F at an attractive price of 670 Euros. 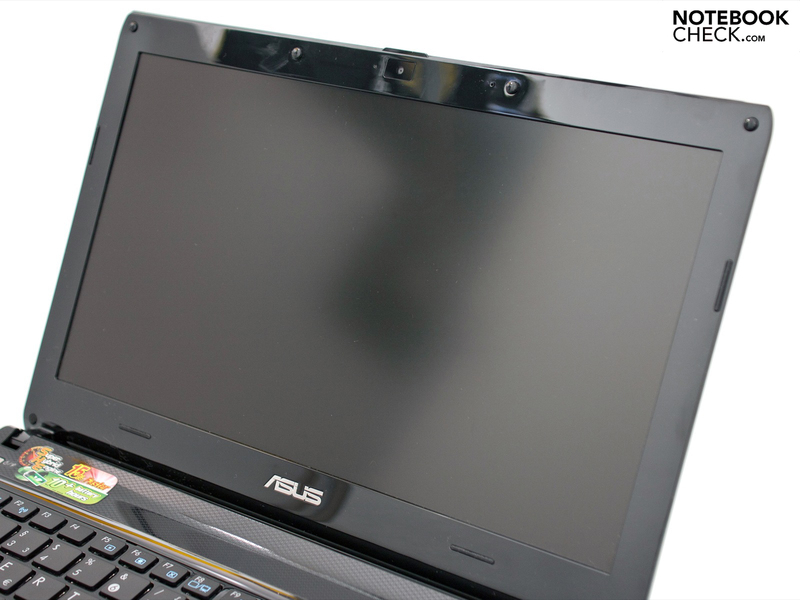 We tested the new Asus P31F with a matte 13.3" display. The sound of the speakers is okay, but not particularly good. Next to the WLAN-module is a Huawei UMTS-modem. 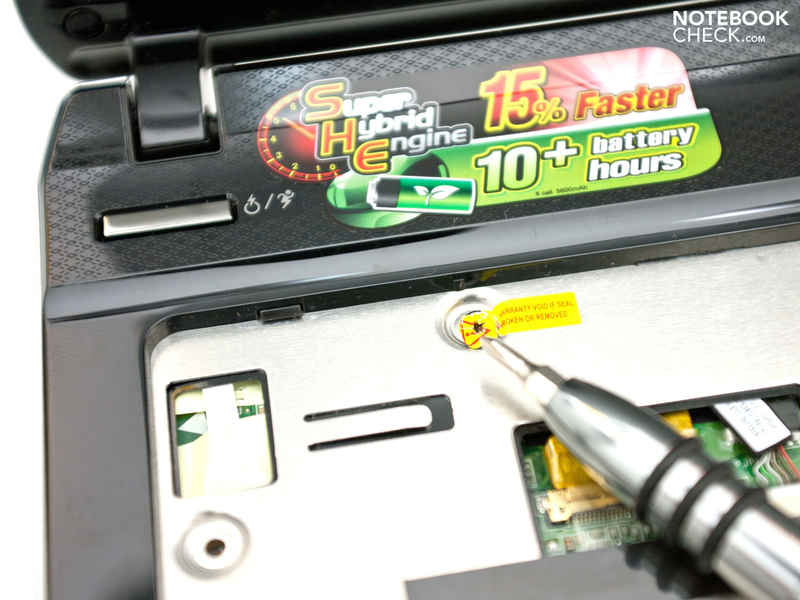 A slot for the SIM-card is hidden behind the battery. Thanks to the large fan vent, there aren't any cooling problems when under load. 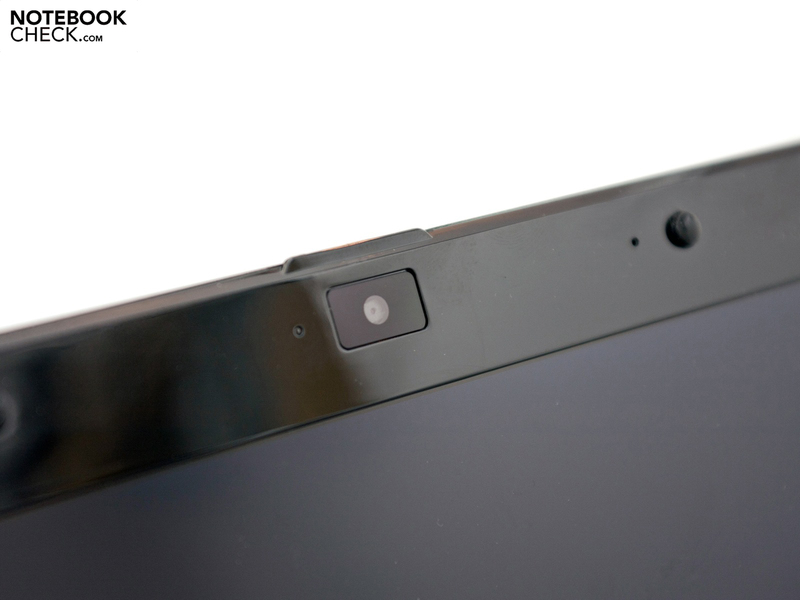 The webcam with 0.3 megapixels is enough for chats on Skype. On the underside there is a large service flap. 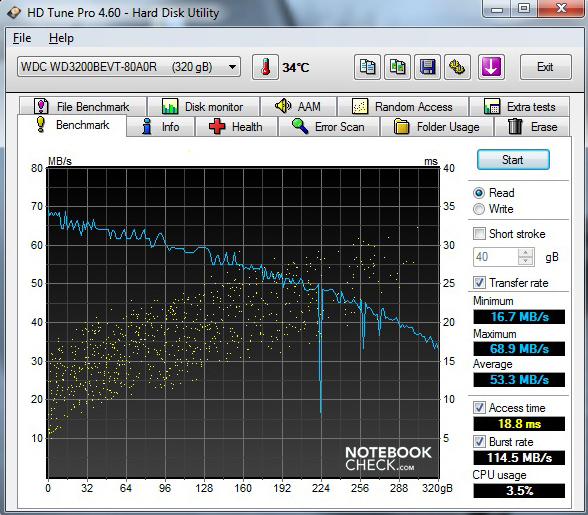 ... harddrive can both be swapped out quickly. Going any deeper will result in a voided warranty. The 8-cell battery with 83 Wh performs exceptionally well. On the front of the case are two speakers from Altec Lansing. Despite their small design, the hinges offer a taught hold on things. ... is impressive thanks to its nice finish and chic pattern. The choice of colours is limited to a combination of silver/black. Including the 8-cell battery, the device weighs in at 1.9 kilograms. The sensitive aluminum display lid improves its looks. 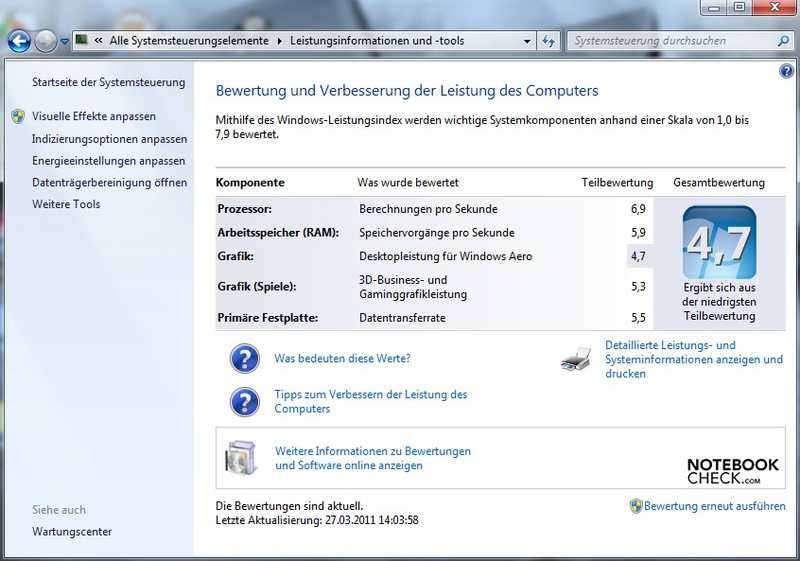 Puttering around inside is an Intel Core i3-380M with an integrated GMA HD. 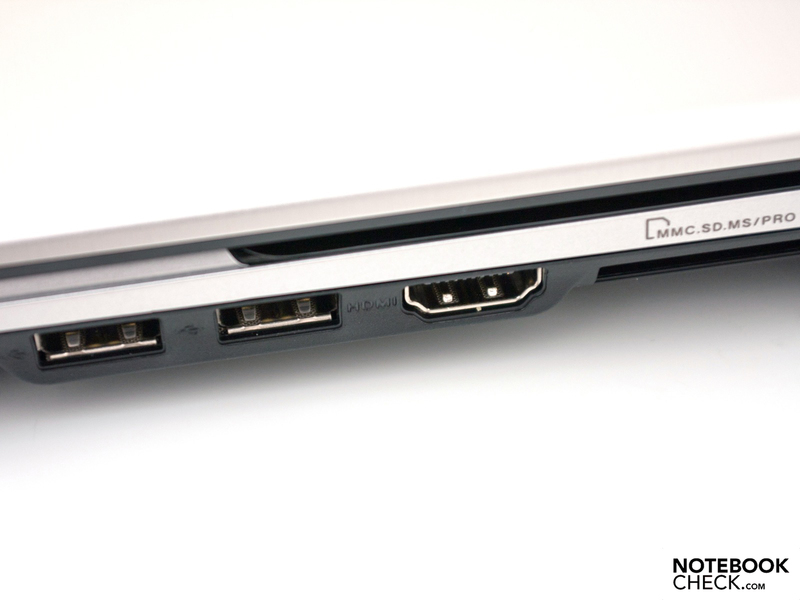 A HDMI port (1.3) is onboard, but it does without USB 3.0. The keyboard inlay is impressive thanks to its generous layout. On the right edge is an additional column with keys. 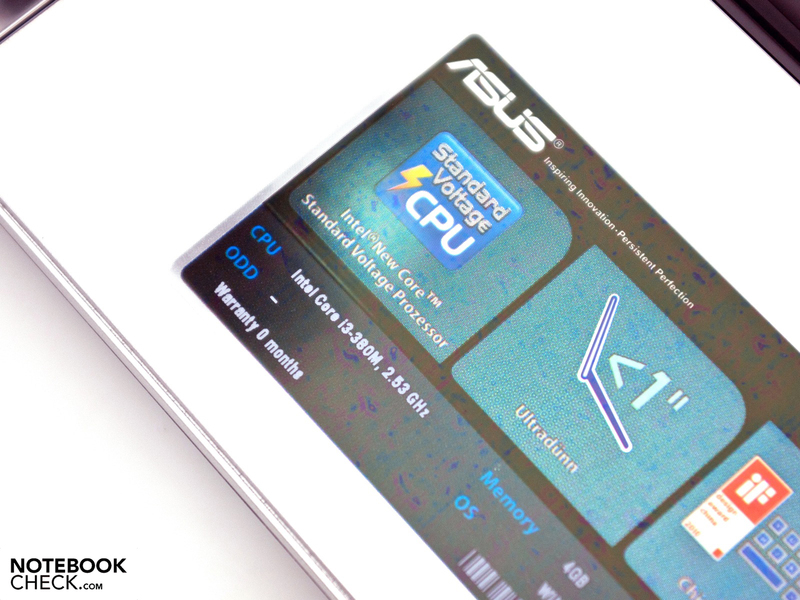 The Super Hybrid Engine from Asus gives additional power and battery life. The power pack is suited for travel with a weight of 240 grams. 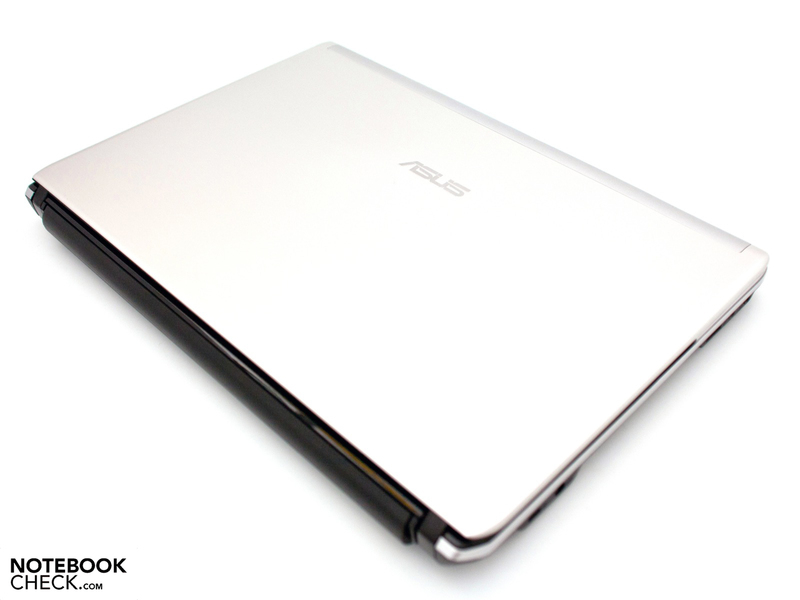 The performance improvement as well as the longer battery runtimes thanks to the Super Hybrid Engine from Asus. A more robust case without high-gloss paint and a display with a higher resolution as well as better measurement values. 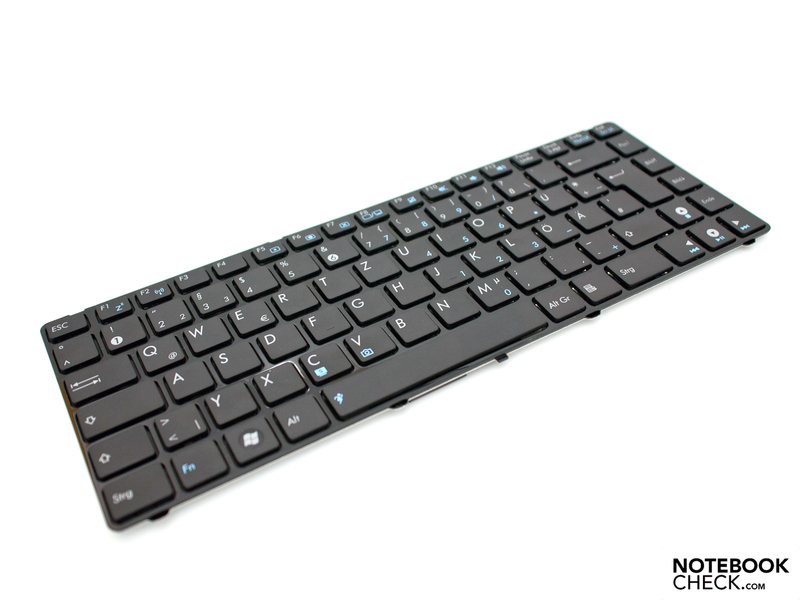 The harmonious overall package with a matte display, long battery life, integrated UMTS-module and pleasant input devices, all as a low price. 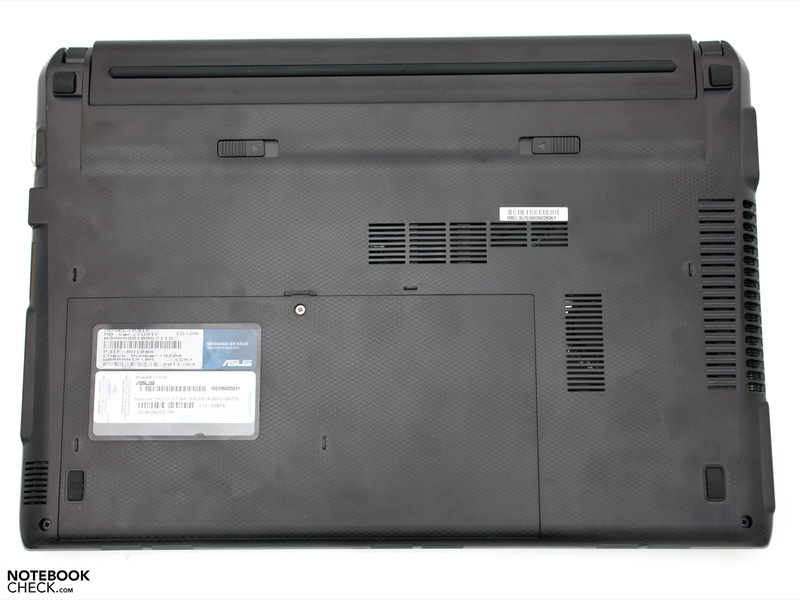 In the consumer segment for instance the new Samsung 900X3A with 400nit display, the Sony VAIO VPC-Z13B7E as entry- or the VAIO VPC-Z13Z9E as high-end subnotebook, the Dell Vostro V130 or the Dell Latitude E4310 as traditional business machine.